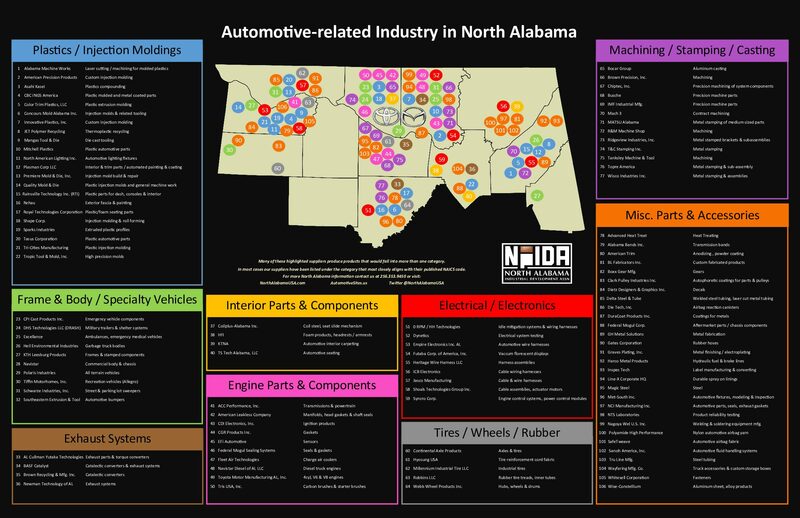 The hub of the Southeast’s automotive activity is North Alabama. 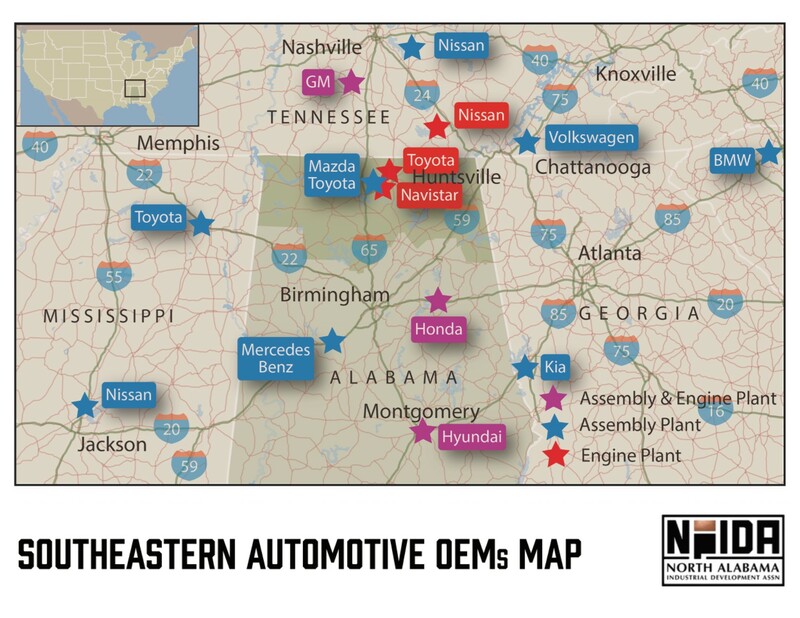 In fact, most North Alabama locations are within an average 3.0-hour driving distance of over 10 automotive OEM assembly plants. North Alabama is also home to both Toyota and Navistar engine plants, Polaris’ newest assembly plant, over 100 automotive-related suppliers, and the $90 million Robotics Technology Park focusing on workforce development. North Alabama’s robust automotive sector was validated when Mazda Toyota Manufacturing USA (MTMUS) announced their $1.6 billion partnership in Huntsville/Limestone County. This joint facility, set to open in 2021, is expected to employ over 4,000 and produce over 300,000 cars and SUVs. Visit automotivesites.us to get quick access to available buildings and sites suitable for MTMUS suppliers. The addition of this new project places Alabama on course to become the South’s largest automaker. Alabama’s three OEM assembly plants combined to produce 1,048,597 vehicles in 2016. Polaris is manufacturing off-road vehicles and the on-road Slingshot at the brand new $142 million facility in Huntsville.